One of the reasons I enjoy living in Brooklyn Heights in New York is because, as Manhattan’s first suburb and New York City’s first designated historic district, it still retains an aura of 19th-century elegance, what with its handsome brownstones with inviting entries, beautifully constructed churches, and pre–Civil War homes. Whenever I travel in the United States, I always seek out similar places that protect their glorious past, and I’m always thrilled to be able to walk through a living history. These are my favorites. Easily the most atmospheric city in the United States, Savannah exudes an incomparable charm and an utterly matchless character. 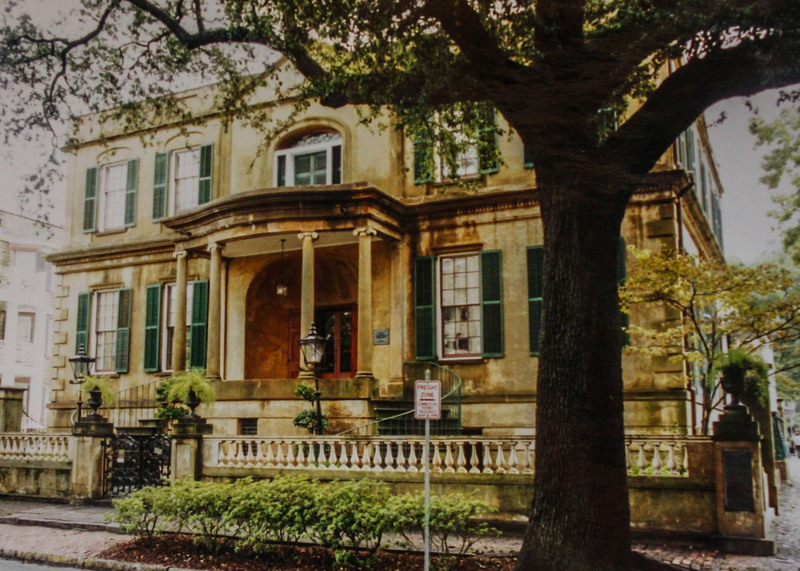 Its beguiling historic district, designated a National Historic Landmark in 1966, encompasses a large area that stretches south from the Savannah River. Approximately 20 blocks wide by 40 blocks deep, it always seduces me into long, lazy strolls among its captivating 18th- and 19th-century homes and, most distinctively, its two dozen squares. All of these grassy, shady plots invite you to relax under live oak trees dripping with feathery Spanish moss, and each of them bears distinctive features — fountains, statues, monuments, and so on. Platted in 1733 by General James E. Ogelthorpe, founder of the colony of Georgia, Savannah’s grid pattern makes it easy to explore block by block, ensuring that you don’t miss any of the highlights, including the Telfair Academy of Arts and Sciences (one of the first public museums in the South), numerous churches, the birthplace of Juliette Gordon Low (founder of the Girl Scouts of the United States), the old Colonial Cemetery, and several grand houses open to the public, such as the Owens-Thomas House (1819) and the Davenport House (1820). If you ever want to lose yourself in the past in the United States, this is far and away the best place in which to do it. After I left the visitors center in the Old Louisville Historic District, I planned on strolling around this area for an hour or so. Four hours later…. I was totally taken aback by this gorgeous historic district, something I had not expected to find in the Bluegrass State. But its statistics should have given me a clue: It’s the third-largest historic district in the United States and the largest one featuring almost entirely Victorian architecture; it also boasts the highest concentration of houses with stained-glass windows in the country. 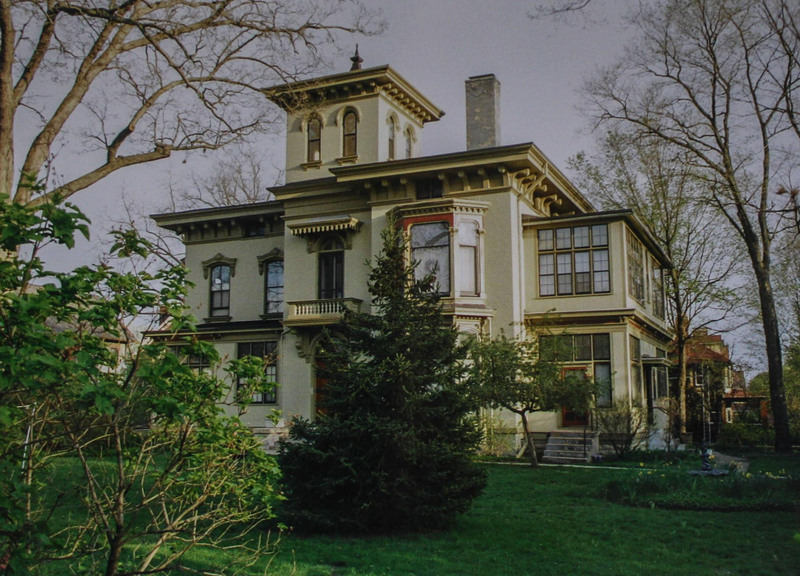 Despite the inaccuracy of the district’s moniker (it was developed as a suburb of the already extant Louisville), these 48 city blocks are, indeed, old, chock-full of more than one thousand homes and churches built from about 1850 to 1920 for the city’s upper stratum — tobacco, racetrack, and bourbon barons among them. Particularly attractive are St. James Court, a lovely street with a fountain, a wide, grassy meridian, and some of the district’s most impressive houses, including the castle-like Conrad-Caldwell House (1893); Belgravia Court, a peaceful “walking court” flanked by Victorian homes and illuminated at night by gas lights; and the fairy-tale Pink Palace (1891), which originally served as the Gentleman’s Club and Casino. The first thing I did after checking in to the Brayton House B&B was to roam around the historic district in which it’s located, grateful that it even exists today. A misguided urban renewal plan in the 1960s called for the demolition of three-quarters of the 1,300 homes (including a Frank Lloyd Wright Prairie-style house) here in Grand Rapids’ oldest residential district. Thanks to the protests and court challenges filed by the concerned and motivated residents of this neighborhood, the plan was defeated, and Heritage Hill was added to the National Register of Historic Places only a couple of years later. Now, these 19th- and early-20th-century homes, once the residences of lumber titans, politicians, and affluent businessmen who prospered in the local furniture, aviation, and automotive industries, stand as a gracious testament to the era of the city’s importance and prosperity. 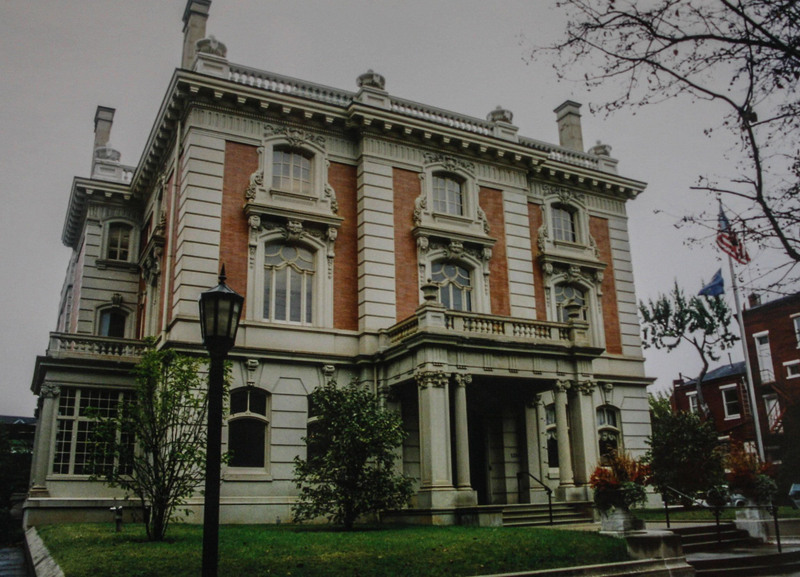 They cover a broad spectrum of architectural styles, from the Italianate-style Philo C. and Isabelle Fuller House (1855), to the Stick Style Stockwell House (1882), to the Queen Anne Lamoreaux House (1892). Vying for the most unusual and ambitious residence is the house simply called “The Castle,” a Chateauesque-style home built in 1888 by two lumberman brothers who had granite shipped from Scotland to use in the construction of their castellated mansion. Following the discovery of gold here in 1864, Helena’s population nearly quadrupled between 1880 and 1890. By 1888, before Montana achieved statehood, more than 50 millionaires were living in town — more millionaires per capita than any other city in the world. Many of them chose to build lavish homes in what is now the Mansion District. A walk around the tree-lined streets reveals how very well these wealthy Helena citizens spent their money. 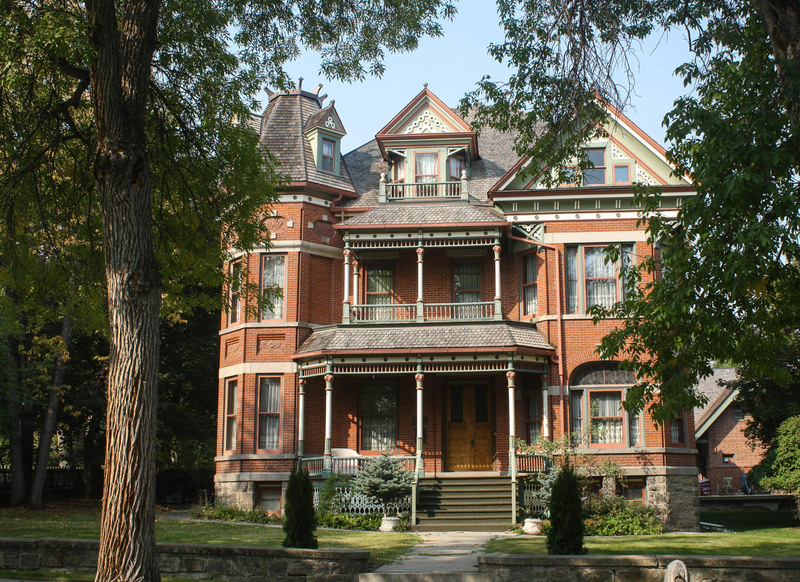 Every one of the luxurious mansions features unique details: bold stone columns or slender wood ones, granite arches or intricate brickwork, round or hexagonal towers, wraparound porches or dormer windows or both. Informative signs along the sidewalk provide details about some of the homes and their original owners. While I was soaking in all that history (and craving to check real estate listings for the area), I made sure to keep an eye out for original horse hitches at curbside as well as the occasional deer grazing on the lawns. Having already visited the second-best city in the world for art deco architecture (Napier, New Zealand), I was thrilled to be spending some time in the world’s leader. 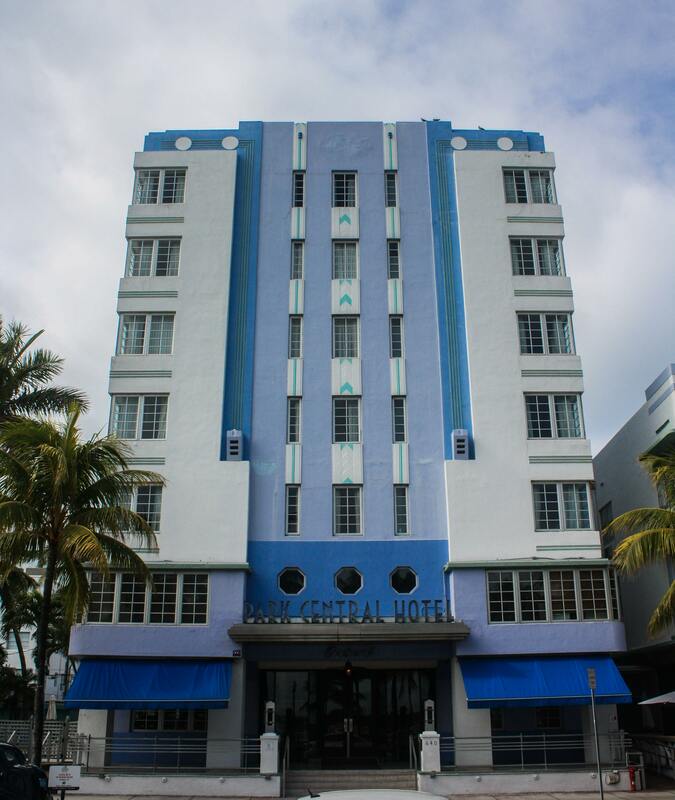 This woefully short-lived architectural movement comes alive in more than 900 buildings, particularly along the two main drags of Collins Avenue and Ocean Drive. From high- and low-rise hotels to private homes to condominiums to theaters (and even the public restrooms in Lummus Park and the lifeguard stations on the beach), the art deco style of strong lines, geometric patterns, zigzag forms, and distinctive fonts dominates the South Beach section of Miami Beach in buildings constructed during the 1920s through 1940s. Accents and details in warm pastel colors enliven their white façades. And at night, all of Ocean Drive glows in bold, jazzy neon lights that welcome you into an uninterrupted line of the hotels, restaurants, bars and clubs that make this historic district one of the most unmistakable and cohesive in the United States. Actually, I have. Charleston is great, especially down around the Battery, and approaching it by sea from Fort Sumter. OK, now I have a few more spots on my travel list! I adore historic architecture. I was in Charleston in the spring and just loved it, and was also in New Orleans for a business trip recently and I had a chance to spend some extra time walking the neighborhoods there – also incredible and very unique architecture! Saratoga might be in my near future as my daughter has a regatta there on November 1st – fingers crossed! Charleston and New Orleans are so distinctive, aren’t they? Hope you get to Saratoga; it really exceeded my expectations.